As part of the SMC’s 60th anniversary celebrations a group of members travelled to Kent on Sunday 29th April 2018 to visit the club’s founder Alec Tapper. 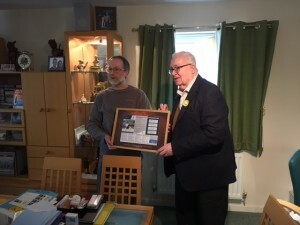 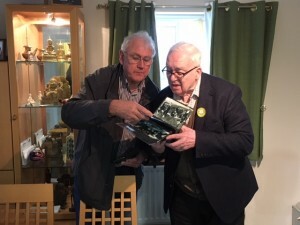 Rob also presented Alec with a photo album of images of meets and events from across the decades. 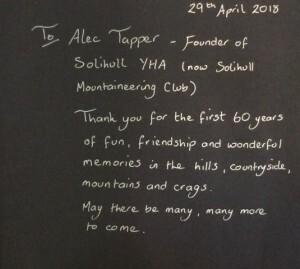 To Alec Tapper – Founder of Solihull YHA (now Solihull Mountaineering Club. 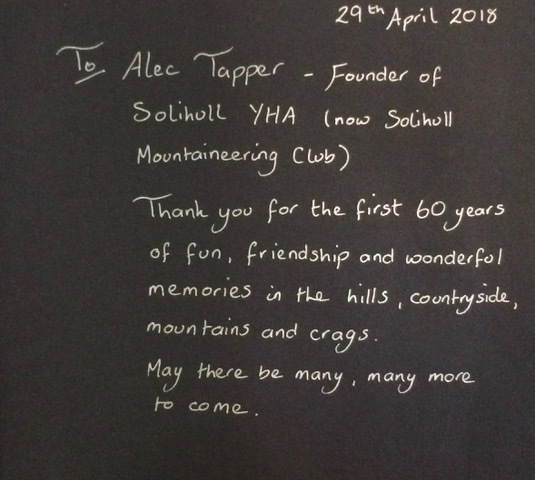 Thank you for the first 60 years of fun, friendship and wonderful memories in the hills, countryside, mountains and crags. 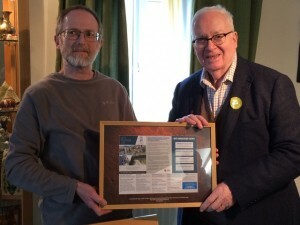 May there be many more to come. 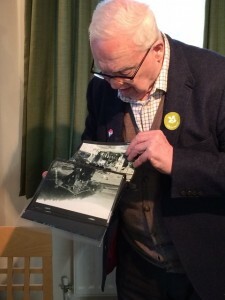 Alec still likes to follow what is happening in the club and regularly reads the Yahoo correspondence. 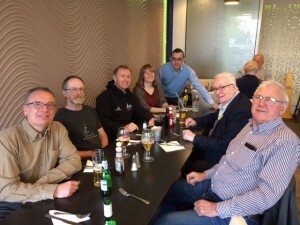 He was keen to hear about new members, club size, the committee’s work and planned activities as well as finding out about some of our earlier members. 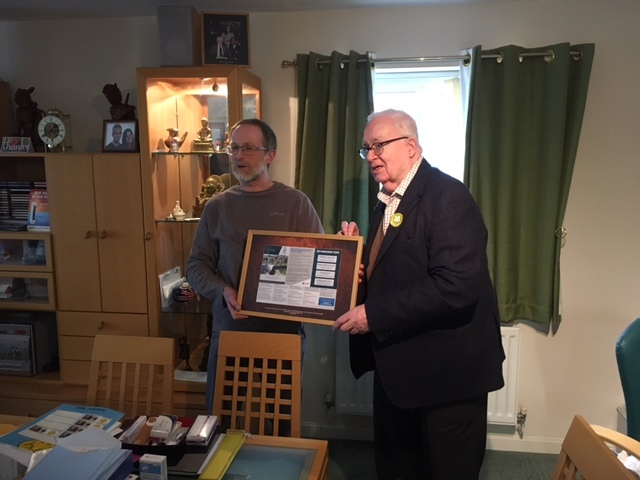 He was thrilled that the club has remained so active with a decent sized membership. After a hearty lunch we took our leave of Alec who wished to pass on his best wishes to all the current members and he hopes that the club will continue for at least another sixty years.